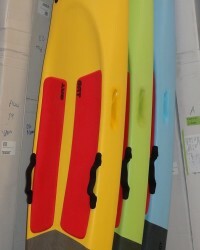 The Sumo model is a high-volume mid-length with speed to burn. The wide point is way forward, and the tail is pulled into a tight pin. With all the volume under your chest the board is easy to paddle, and once you’re up and riding that narrow tail really comes into play. 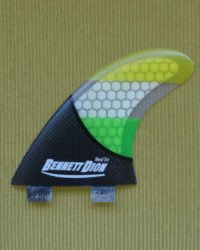 The board comes with a 2+1 fin set-up, but can also be ridden as a single fin if preferred.